Walerian Borowczyk was born in Kwilcz, a village in Western Poland, on October 21, 1923. Between 1946 and 1951, he studied painting and sculpture at the Krakow Academy of Fine Arts. During the early 1950s, Borowczyk moved to Warsaw where he established himself as a designer of film posters. In 1957, together with another poster artist, Jan Lenica, he directed his first professional short film, Once Upon a Time. The following year, Borowczyk emigrated to France. During the early 1960s, he produced short films and commercials. He made his feature film debut in 1967, with Theatre of Mr and Mrs Kabal. 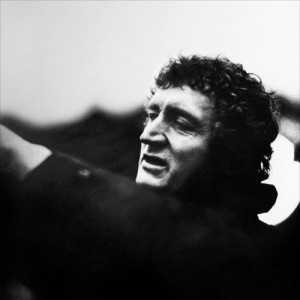 During the early 1970s, directed Immoral Tales, a portmanteau film concerning sexual themes which brought his work to the attention of a wider audience. Throughout the 1970s and 1980s, Borowczyk developed a startling body of work in a variety of genres: short films, features, documentaries and animation. In addition to designing the sets and editing many of his films, Borowczyk also created the props and designed posters. During the 1990s, Borowczyk returned to graphic work, invented a technique called “pulverography” and also authored a number of books, including a collection of short stories, Anatomy of the Devil (L’Anatomie du Diable), and a book for children, Dumb Animals (Les bêtes sont-elles bêtes ?). He died in Marly-le-Roi, near Paris, on February 3, 2006, aged 82.